Estate appraisal can be done at your location. Hourly rates and minimums apply, please call for rates. One of the most uncomfortable situations an estate lawyer can find themselves in is a case that involves decedents who are battling each other over items left behind as part of a deceased loved one’s estate. Because the siblings are still trying to process the passing of their loved one, tension is already high in such cases. Then, when one sibling believes that they were “left out” or “short-changed” by the Will, arguments escalate, often leaving the surviving family in shambles. This is a real situation that arises more than one would think, and it is extremely sad to witness, especially during a time when family members should be consoling each other. The instigating factor to why this type of situation exists is because all too often families inadvertently wait to have the valuables in the estate appreciated until after their loved one has passed away. This poses several problems that the estate lawyer will ultimately have to deal with. Add in a lack of a Will and the dispersion of the estate becomes an even more rigorous and embattled affair. As most estate lawyers know, jewelry is one of the most common things argued over by surviving siblings because as often is the case, the deceased didn’t leave instructions in their Will; if there even was a Will to begin with. 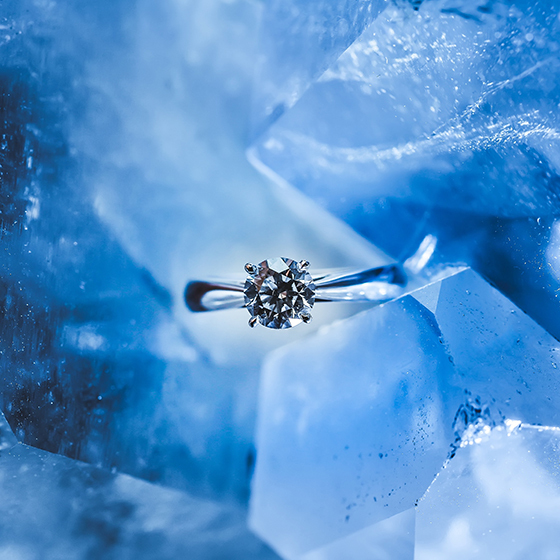 Even in cases where instructions are included, dispersing jewelry to the inheriting siblings can be a nightmare, especially if the jewelry wasn’t appraised prior to its owner passing away. If a Will leaves specific instructions for the dispersal of jewelry, then the executor must adhere to those instructions first and foremost. For example, if in her Will a deceased grandmother leaves her wedding ring to her oldest granddaughter, then the wedding ring belongs to the oldest granddaughter and nobody can contest that. The granddaughter then needs to sign a release, provided by the executor of the Will, indicating that she received the ring. Then the release gets filed with the probate court handling the grandmother’s estate. If the Will doesn’t specify who gets which pieces of jewelry, then it is up to the executor or estate attorney to oversee the jewelry’s dispersion to the remaining family members and in doing so, they have a responsibility to divide the jewelry equally among the siblings. 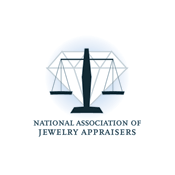 In order to ensure fairness during the dispersion of jewelry, the executor should have all of the deceased’s jewelry appraised by a professional jeweler or appraisal service. This is an important step because it informs the executor about the value of the individual jewelry pieces. This makes it easier to divide up the jewelry as evenly as possible amongst the siblings. For example, if a mother leaves a wedding ring, a broach, and a necklace in her Will for her two daughters, an appraisal will allow the executor to determine who gets what. In this case, if the wedding ring is worth $5,000 and both the broach and necklace are each worth $2,500, then one daughter will receive the ring and the other daughter will receive the broach and necklace. This way, both surviving children receive the same amount of jewelry in terms of monetary worth. Of course, even though the dispersion of the jewelry is fair in terms of value, it is not a guarantee that the daughter who receives the broach and necklace isn’t going to be upset that she didn’t get the wedding ring. When family members want specific pieces of jewelry for sentimental reasons, monetary value will almost always take a back seat. 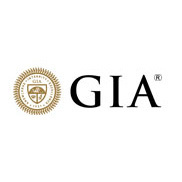 In cases where the siblings are making sentimental requests for jewelry, the executor still needs to have the jewelry appraised because each beneficiary is entitled to an equal share of the estate. Once the appraisal is completed, the executor can meet with the siblings to discuss who will receive what. If one sibling agrees to take a piece of jewelry that’s worth less because they have a sentimental attachment to it or to please another sibling, then the executor must give that sibling more of the other personal possessions to even up the value. If the siblings still cannot agree after the appraisal is completed, it is the executor who will ultimately distribute the estate. The executor has the authority to divide the jewelry as he sees fit, as long as each sibling gets their fair share, and this is conducted with the hope that the siblings will all agree to the dispersion. If the situation arises where family members can’t reach an agreement, then the executor may be forced to sell the item and split the proceeds equally among the siblings. When it comes to siblings arguing over the same piece of jewelry, there is a real risk that the piece will have to be sold and this is something that nobody really wants to have happen. For this reason, the executor must check the deceased’s papers to re-confirm instructions weren’t behind for the division of jewelry. In many cases, the deceased left a list, but it just didn’t make it into their Will. Although legally, the executor isn’t required to follow such a list if it isn’t included in the Will, but having the list and showing it to the family members will show them how the deceased wanted their jewelry to be divided and this can sometimes make settling the estate easier and more peaceful.